Most of us know that eating a balanced diet is important for good health. 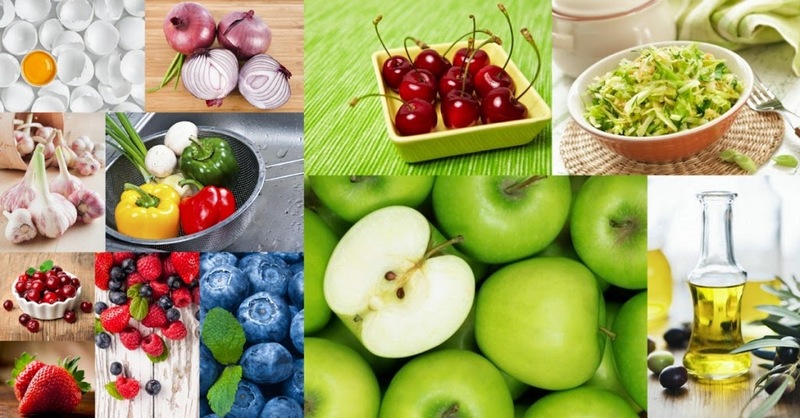 Now scientists have pinpointed certain foods as super foods. In addition to promoting overall health, these are foods for kidney health as well. To understand why they’re called super foods, we first have to understand oxidation and free radicals. Oxidation is a normal bodily process for producing energy and is part of many chemical changes in your body. However, it can sometimes lead to the production of molecules called free radicals. Free radicals are unstable molecules that bounce wildly around inside your body, damaging proteins, genes and cell membranes. Free radicals are believed to contribute to aging and many chronic diseases, including cancer, heart disease and Alzheimer’s disease. The good news is super foods contain antioxidants that help neutralize free radicals. Even in relatively low amounts, antioxidants can help slow or stop the rate of oxidation caused by free radicals. Examples of antioxidants include flavonoids, lycopene and vitamins C, E and beta-carotene. If you are on dialysis or have chronic kidney disease (CKD), you’ll be glad to know that there are lots of super foods, containing antioxidants and other health-supporting properties, included in the kidney diet. People with kidney disease experience more inflammation and have a higher risk of cardiovascular disease than those without kidney problems. If you have kidney disease, it’s important that you consult a renal dietitian and follow a kidney diet. Including super foods in your kidney diet eating plan can help you increase your intake of nutrients and antioxidants. Here’s a list of the top 15 kidney-friendly super foods. These foods are good for everyone, not just people with kidney disease, so by using them in your family’s meals, you’ll be helping your loved ones enjoy good health too. Red bell peppers are a good choice for those concerned about kidney health, because they’re low in potassium. In addition, they add color and taste to any dish, while packing a generous portion of vitamins A, C, B6, folic acid and fiber. They also contain the antioxidant lycopene, which protects against certain types of cancer. If you’re following the kidney diet, it’s easy to add red bell peppers to your food plan. Mix them into tuna or chicken salad or eat raw with dip. Roasted, they’re great for topping sandwiches or green salads. Chop them up for use in egg dishes, such as omelets or scrambled eggs, add them to kabobs for grilling or stuff them with a ground beef or turkey mixture for a tasty baked entrée. Crunchy cabbage is a cruciferous vegetable filled with phytochemicals, chemical compounds found in certain fruits and vegetables. Phytochemicals work to break apart free radicals. Many phytochemicals are believed to combat cancer and support cardiovascular health. Inexpensive cabbage is a great addition to your eating plan, because it’s also high in vitamins K and C, high in fiber and a good source of vitamin B6 and folic acid, yet it’s low in potassium, so it’s especially kidney-friendly. If you’re following the dialysis diet, add cabbage by turning it into coleslaw or use as a topping for fish tacos. Cabbage can be boiled, steamed or microwaved and then enjoyed with a touch of butter or cream cheese and a sprinkling of pepper or caraway seeds. Other nutritious meal options include cabbage rolls and stuffed cabbage. Another kidney-friendly super food is cauliflower. This cruciferous vegetable brings lots of vitamin C to your plate, along with folate and fiber. In addition it contains compounds that help your liver neutralize toxic substances. Cauliflower can be eaten raw with dip or in salads. Steamed or boiled, it can be seasoned and turned into a great side dish. You can even mash cauliflower as a dialysis-friendly replacement for mashed potatoes. If you’re following the dialysis diet, use garlic powder instead of garlic salt to add extra flavor to your meals without adding extra sodium. Garlic can be used in cooking many dishes: meat, vegetables or tomato sauce, for instance. Once you start cooking with garlic, you’ll wonder how you ever got along without it. Another popular food used for seasoning is the onion. Onion is full of flavonoids, particularly quercetin. Flavonoids are natural chemicals that prevent the deposit of fatty material in blood vessels and add pigmentation (color) to plants. Quercetin is a powerful antioxidant that is believed to help reduce heart disease and protect against many forms of cancer. It also has anti-inflammatory properties. Low in potassium, onions are not only kidney-friendly; they also contain chromium, a mineral that assists your body with the metabolism of fats, proteins and carbohydrates. Onions can be enjoyed raw or cooked in a variety dishes. An apple a day really does help keep the doctor away! High in fiber and anti-inflammatory properties, apples help reduce cholesterol, prevent constipation, protect against heart disease and decrease your risk of cancer. Renal-friendly apples can be eaten raw or cooked. Or get their health benefits by drinking apple juice or cider. Cranberries are great for preventing urinary tract infections, because they make urine more acidic and help keep bacteria from attaching to the inside of the bladder. They’ve also been shown to protect against cancer and heart disease. Although we think of cranberries as a holiday side dish, cranberry juice can be enjoyed daily for added nutrition. Or toss a handful of dried cranberries into your cereal or salad. These tasty berries get their blue color from antioxidant compounds called anthocyanidins. Blueberries get high marks for nutrition, thanks to natural compounds that reduce inflammation and lots of vitamin C and fiber. They also contain manganese, which contributes to healthy bones. Use blueberries to top off your morning cereal, whip them up in a fruit smoothie or enjoy them in a baked treat, such as muffins or crisp. Raspberries contain a compound called ellagic acid, which helps neutralize free radicals. The berry’s red color comes from antioxidants called anthocyanins. Raspberries are packed with fiber, vitamin C and manganese. They also have plenty of folate, a B vitamin. Raspberries have properties that help stop cancer cell growth and the formation of tumors. Sprinkle fresh raspberries on cereal, or whip them up in a kidney-friendly fruit smoothie. Strawberries are rich in two types of antioxidants, plus they contain lots of vitamin C, manganese and fiber. They have anti-inflammatory and anti-cancer properties and also help keep your heart healthy. Like most berries, they’re wonderful on cereal or in smoothies. Add whipped topping for a quick dessert, or puree them for a fresh addition to pound or angel food cake. Cherries are filled with antioxidants and phytochemicals that protect your heart. When eaten daily, they have been shown to reduce inflammation. Fresh cherries make a delicious snack. Of course, cherry pie is a popular dessert, but there’s also cherry crisp, cherry cheesecake and even cherry coffee cake. Cherry sauce makes a nice accompaniment to lamb or pork. The color in red grapes comes from several flavonoids. These are good for your heart, because they prevent oxidation and reduce the chance of blood clots. One flavonoid in grapes, resveratrol, may boost production of nitric oxide, which increases muscle relaxation in blood vessels for better blood flow. Flavonoids also help protect you from cancer and prevent inflammation. Choose those with red or purple skin grapes for the highest flavonoid content. Eat grapes as a snack. When frozen, they make a good thirst-quencher for those on a fluid-restricted diet. Add grapes to fruit or chicken salad. Or drink grape juice. Did you know that egg whites are pure protein? They provide the highest quality protein there is, along with all of the essential amino acids. If you’re on the kidney diet, it’s good to note that egg whites have less phosphorus than other protein sources, such as egg yolks or meats. Use egg whites for omelets or egg white sandwiches. You can also add them to smoothies or shakes. Hard boil eggs and use the whites to use in tuna or green salads. Another high-quality source of protein is fish. Both the American Diabetes Association and the American Heart Association recommend that you include fish in your meal plan two or three times a week. Besides being a great source of protein, fish contains anti-inflammatory fats called omega-3s. These healthy fats help prevent diseases, such as cancer and heart disease. They also help lower LDL (the bad cholesterol) and raise HDL (the good cholesterol). The types of fish that have the most omega-3s are salmon, albacore tuna, mackerel, herring and rainbow trout. Research has shown that people in countries where olive oil is used instead of other types of oils tend to have lower rates of cancer and heart disease. This is believed to be due to olive oil’s many good components: oleic acid, an anti-inflammatory fatty acid which protects against oxidation and polyphenols and antioxidant compounds that prevent inflammation and oxidation. Use virgin or extra virgin olive oil – they’re higher in antioxidants. Olive oil can be used in cooking or to make salad dressing, as a dip for bread and as a marinade for vegetables.